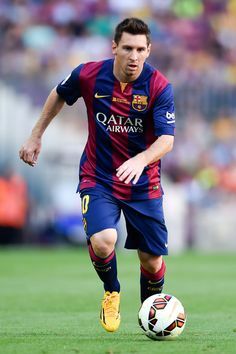 On May 5, 2012, the Leo Messi legend was extended in the derby against Espanyol, when he made it to an unprecedented 50 goals in a league season, having scored four goals in three different matches. A remarkable season ended with one of the finest goals of his career in the Copa del Rey final against Bilbao. In the 2011/12 season he has scored in every competition he played in, totally an astonishing 73 as Barça conquered the Spanish Supercup, European Supercup, Clubs World Cup and the Copa del Rey. He ended 2012 with the record number of goals in a calendar year , thus beating the historic tally established by Gerd Müller (85 for Bayern Munich and Germany in 1972). But without settling for that, the Argentinian went even further in the 2010/11 season, scoring no fewer than 53 official goals, a Spanish record only matched by Cristiano Ronaldo (that very same season). Messi, like in Rome, played a vital role in the Champions League final at Wembley were scored a scorcher from outside the area to put his team ahead. In 2011, he also won the Ballon d’Or for the third time, a feat only previously achieved by Cruyff, Platini and Van Basten and a year later became the first player ever to win it four times. In 2013 and 2014 he came second, making it eight years in a row that he has been among the top three footballers in the world. Messi is an excellent, sensational, unique player. He is astoundingly creative, has amazing individual skill and is able to constantly put his rivals at unease. A natural left footer, he is stunningly versatile, and can play either in the middle or on whichever of the wings required, although it is out on the right that he feels most comfortable. He may not be very tall, but his speed and physique enable him to cope with even the toughest of defenders. He is surprisingly strong, and can hold on to the ball in style, as if it were stuck to his feet. There is simply nobody like him anywhere else in the game. He is also a specialist at all dead ball situations, especially free kicks and penalties. His cold blood and ability to take on responsibilities are other virtues that make Leo Messi simply the best footballer on the planet. Technical profile Messi is an excellent, sensational, unique player. He is astoundingly creative, has amazing individual skill and is able to constantly put his rivals at unease. A natural left footer, he is stunningly versatile, and can play either in the middle or on whichever of the wings required, although it is out on the right that he feels most comfortable. He may not be very tall, but his speed and physique enable him to cope with even the toughest of defenders. He is surprisingly strong, and can hold on to the ball in style, as if it were stuck to his feet. There is simply nobody like him anywhere else in the game. He is also a specialist at all dead ball situations, especially free kicks and penalties. His cold blood and ability to take on responsibilities are other virtues that make Leo Messi simply the best footballer on the planet. His first championship would come in the Liga season of 2004-05. 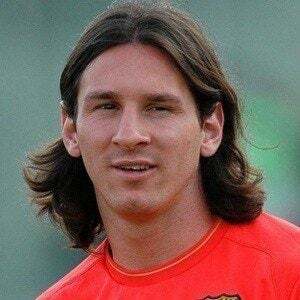 Since then, and playing a more prominent role every season, he has won every major club trophy at Camp Nou -- including a stunning haul of six in 2008-09 -- and claimed the World Player of the Year award four times in four years. From the above, you might think Messi is a selfish player. Or you might assume that if Messi is so good at shooting, he’d focus on it to the exclusion of other skills. But, in true Wayne Gretzky-eque fashion, Messi is also one of the top assisters in our data set. Once again, that makes him a crazy outlier: No one else (aside from, yes, Ronaldo) even comes close to his combination of goals scored versus goals dished. Benjamin Morris 1970, Lionel Messi Is Impossible | FiveThirtyEight, Viewed 4 March 2016, <http://fivethirtyeight.com/features/lionel-messi-is-impossible/>. Lionel Messi Player Profile 1970, Viewed 4 March 2016, <http://www.espnfc.us/player/45843/lionel-messi>. Messi 1970, Viewed 4 March 2016, <http://www.fcbarcelona.com/football/first-team/staff/players/messi>.